Shell Beach is just off the Shark Bay Road 44km from Denham and 84km from the North West Coastal Highway. 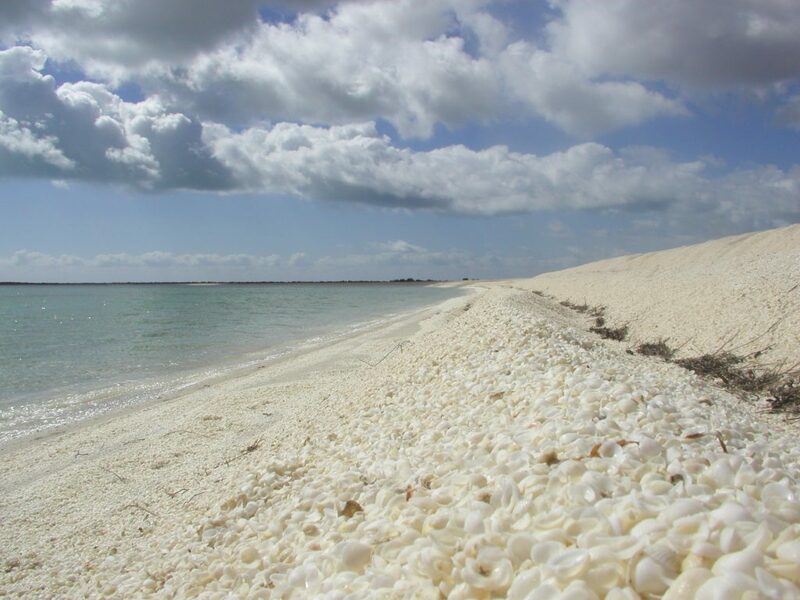 As the name implies the beach at Shell Beach is made up of shells. 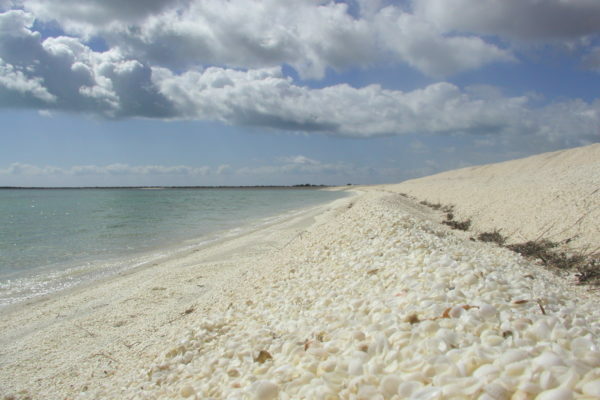 Trillions of tiny shells from one type of animal, the Fragum cockle, make up the beaches here and around L’haridon Bight. Deposits are 10 metres deep in places. One of the characteristics that limits life in the waters is hypersalinity. As with Hamelin Pool, the combination of high evaporation and the Faure Sill limiting water flow causes the water here to be twice as salty as the sea. The result is a lack of competition and predators for the Fragum cockle, leading to an incredible abundance of this one species. You will float well in these super-salty shallow waters. Find out more about Shark Bay’s salinity on the Geology page. Interpretive signs along the short walk between the carpark and beach tell the cockle’s story. Just south of Shell Beach is an electrified fence stretching several kilometres across the narrow part of the peninsula. This fence is a vital part of Project Eden, a conservation project limiting feral animals on Peron Peninsula. There is a pit toilet but camping is not permitted at Shell Beach.